There are two new interviews with Nuala online this week. One with Cathy Brown at 746 Books which includes a giveaway of Becoming Belle. Here. 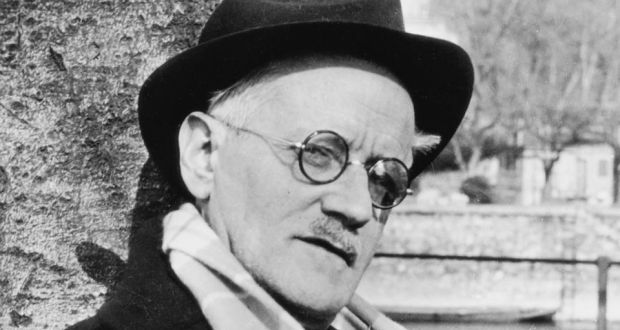 The second is the Crannóg Questionnaire, by Crannóg literary journal, to celebrate their 50th issue. Here. 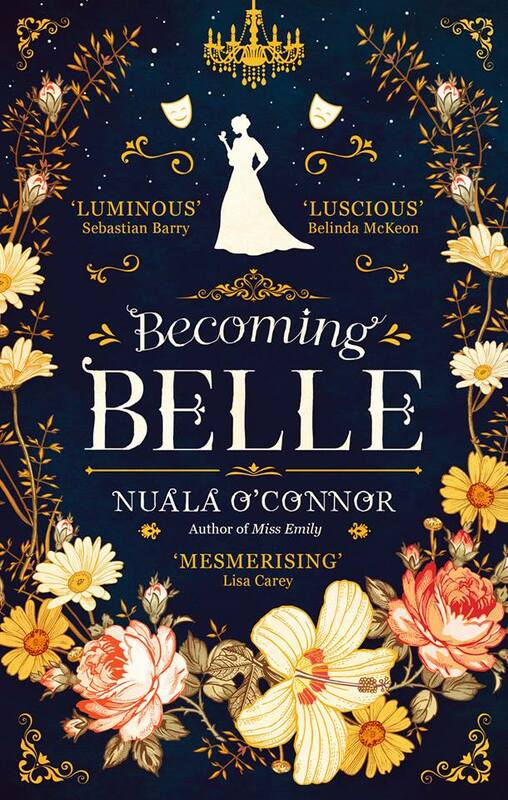 The beautiful UK cover for Becoming Belle, out in June. Thanks to my lovely editor Anna Boatman and all the team at Piatkus and Little Brown UK. I love it! 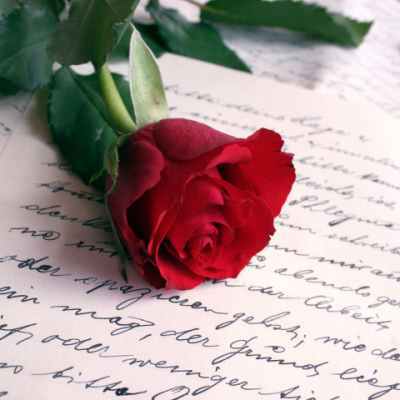 Nuala, along with several other Irish writers, was asked by the Irish Times to choose a love poem for Valentine’s Day. She picked Emily Dickinson’s ‘Wild Nights’. See the article here. 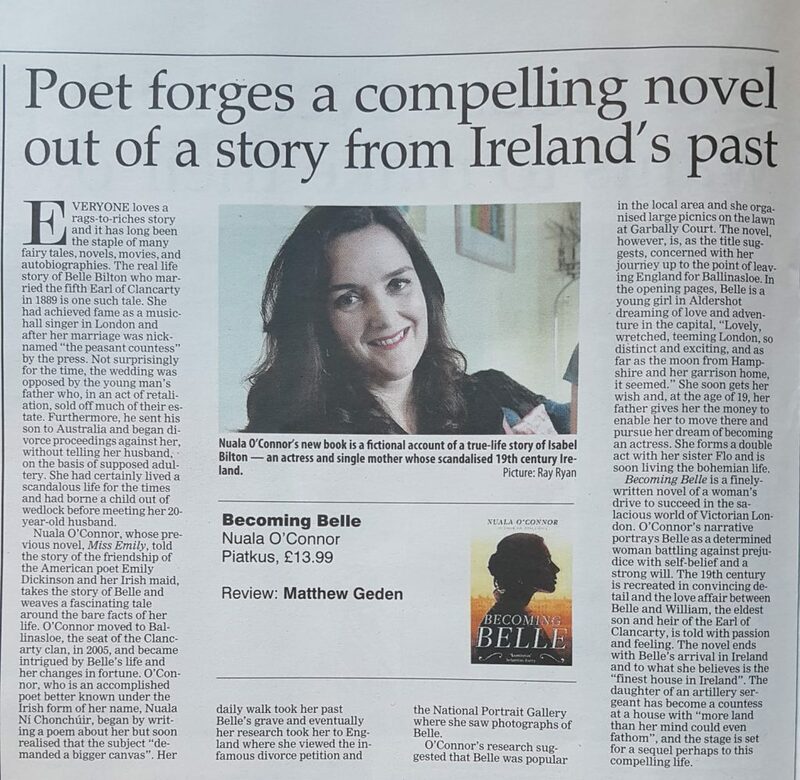 Matthew Geden has given Becoming Belle a very positive review in today’s Irish Examiner. 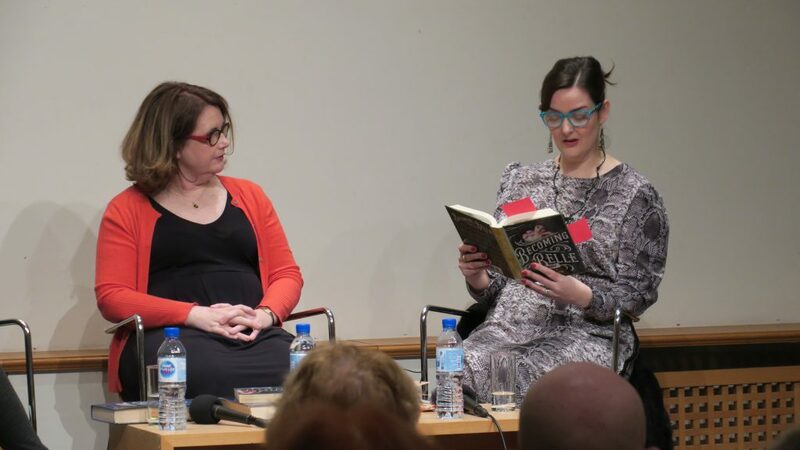 This is the Miscellany50 show I took part in on Friday night. Very enjoyable to do. My bit about the moon starts at 35 or so and is followed by the gorgeous Clair de Lune by Débussy, played by Denise Crowley. Other contributors include Denise Blake, Louis de Paor and Evelyn Conlon, as well as musicians extraordinaire Honor Hefffernan and the ConTempo Quartet. 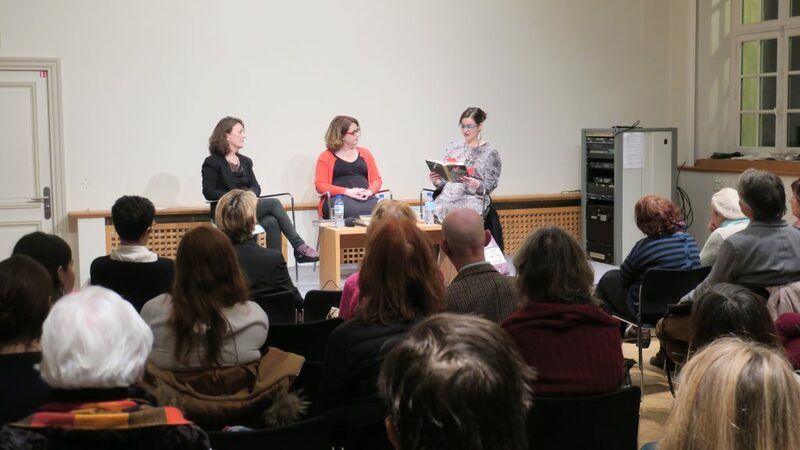 Miscellany50 at Project Arts Centre is a celebratory radio festival weekend of short writing and music produced to salute fifty years on air in 2018. Featuring; John Bowman, Mae Leonard, ConTempo String Quartet, John Boland, Honor Heffernan, Richie Buckley, Myles Drennan, Nuala O’Connor, Denise Crowley, Leo Cullen, Denise Blake.